Danielle Lopez is a published fantasy author, freelance health and medical writer, finance author, and certified birth & bereavement doula. For many years the black cat has been depicted as a symbol of evil, witches, and Halloween. This can be traced back to the early American settlers and early England. However, the black cat seen as a symbol of evil has not always been the case. It is also the furthest thing from the truth. Early records indicate the black cats existence in ancient Egypt. The black cat was revered and often worshiped in Egypt. Killing a black cat during this time was considered a capital offense and would often result in death. When the Egyptian family cat died, he would often times be mummified and buried within the family tomb. The family would also take time to morn his death. 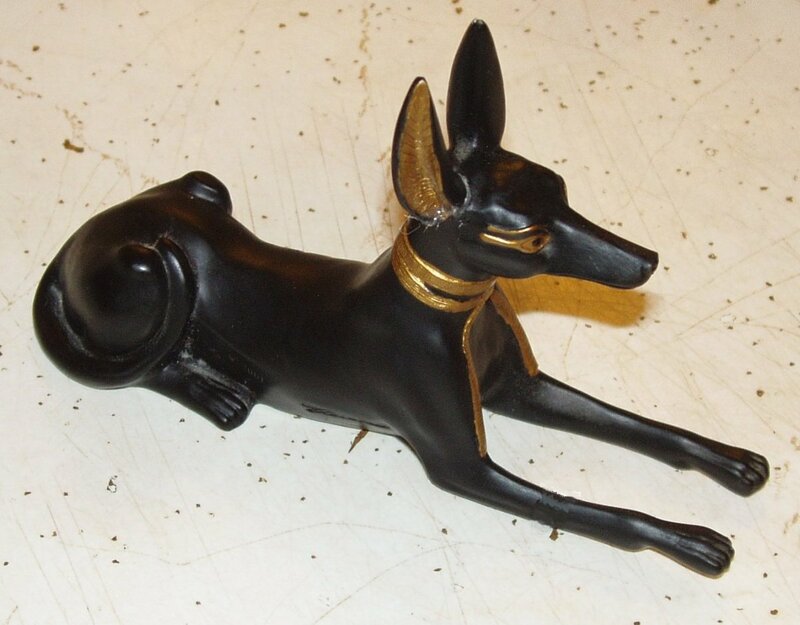 The Egyptians love for black cats was due to their belief that black cats were associated with the gods. The Egyptian goddess Bast was known as the "cat goddess" and often had black cats as symbols to represent her. She was often depicted as being a goddess with a human body but with the head of a cat. Early Egyptians also prized black cats and cats alike due to their great ability to eliminate rodents and other unhealthy creatures. The early Egyptians knew that this helped keep them healthy and also helped maintain their food supplies, therefore they kept cats around to help make their lives a little easier. Bast, or Bastet, is an Egyptian goddess who is the representative of may things, but she is most commonly noted as being a goddess to cats. She is often portrayed as a sophisticated black cat, or a person with the body of a woman and the head of a cat. Bast was known for protecting homes from fires, as well as protecting them from rodents and snakes, all of which have to do with her cat representation. The ancient Egyptians knew long before the early colonialists that cats were essential in order to maintain food reserves and to stay healthy. Women in ancient Egypt often wore jewelry depicting cats to represent Bast. The number of cats depicted on the woman's jewelry indicated how many children she desired. Bast was considered a fertility goddess, so wearing cat amulets and other jewelry in honor her was considered good luck for conceiving children. During excavation at Bast's temple in Per-Bast, over 300,000 mummified and buried cats were uncovered by archaeologists. The early American settlers (such as Pilgrims) helped spread the fear and myth that has enshrouded the black cat. These early settlers brought with them a strong faith in the Christian Bible, which caused them to seek out and attempt to eliminate anything they perceived as being evil. Many early Pagans, especially elderly female Pagans, were known for having a cat, especially a black cat. Due to the Pagan belief in the earth and magic, as well as their refusal to convert to Christianity, many of the early Christians perceived them as being devil-worshipers and their pet cats were included in this mix. The early Christians perceived the black cat to be the witch's familiar, and would help her in her evil doings. Due to the myths spread about black cats, anyone during this time caught with a black cat would often be killed. Many black cats during the Middle Ages were themselves killed as a way to "rid the world" of demons and evil. What people during the Middle Ages did not realize was that with killing off a large majority of cats, the rat population would increase. Many illnesses, including the Plague, were all attributed to the increase in the rat population. Some would attribute this to the witches getting revenge on those who killed them and their familiars, but anyone with a basic understanding of science would see it for what it truly was. Professional gamblers are afraid (or try to avoid) black cats because it is said that if a black cat crosses the path of a gambler, he is doomed to fail. Sailors and their wives would often keep black cats around because it was believed that they brought them good luck while out at sea. It is considered very good luck if someone gives you a black cat. Making a black cat mad, by intentionally hurting it or causing it harm, is considered very bad luck. Some people believe that it is bad luck for a black cat to cross your path, while others believe it is good luck to have a black cat cross your path. In Italy it is believed that if a black cats sits in the bed of a sick person, death is surely to come. In Scotland, if a black cat sits on someone's porch, it is said to bring them great monetary fortune. It was once believed that witches could transform into a black cat a total of 9 times. This is likely where the legend of black cats having 9 lives originated from. August 17th is "National Black Cat Awareness Day". Do you have a black cat friend in your life? No, but I want to! Today the black cat is still considered by some to be a symbol of evil, superstition, Halloween, and witches. Many pet adoption agencies have to limit the amount of black cats adopted around Halloween due to fear that these cats will be used as decorations or for ill purposes and then be abandoned once the holiday is concluded. There are also higher numbers of reported animal abuse and killings during Halloween, nearly all of which are directed towards black cats. However, the fear of them once spread by the early settlers has somewhat diminished. Many people today, Pagans and Christians alike, own black cats and consider them a part of the family. 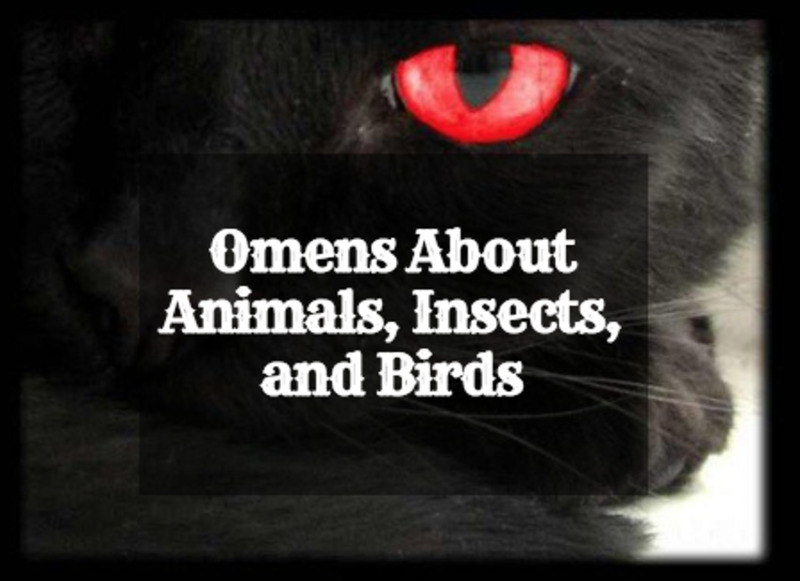 Some witches and Wiccans use black cats as their familiars, but this is not a mandatory practice amongst Pagans. They do however perceive black cats, as they do practically any and every animal, to be of equal standing and welcome them into their homes as a part of the family. Black cats tend to be somewhat more skittish than other cats, leading people to believe that there is something evil or sinister about them. However, this is simply a natural attitude of theirs and has nothing to do with evil practices. It is likely due to evolution and the fear of what people have inflicted on them that causes black cats to be a bit more leery of humans. Despite this, black cats can be very loving creatures when treated with love and kindness. There is absolutely nothing evil about these adorable animals. The only "evil" black cats you may encounter have more than likely been ill kept and abused. Sadly, black cats are the least adopted coloration of cats. If you are interested in owning a black cat, check your local pet adoption agency and try to get one there. These cats are in desperate need of a good home. 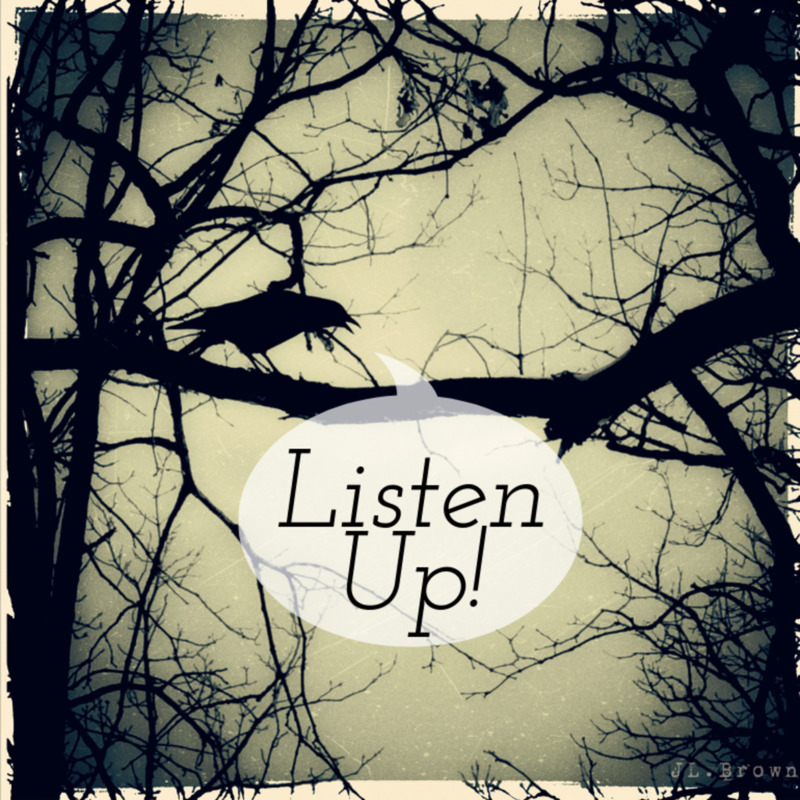 Superstitions Revealed—Where Did They Come From? 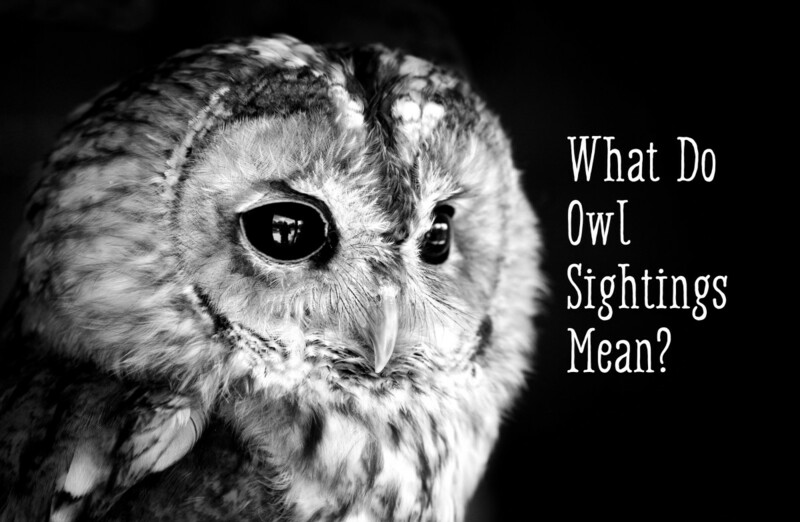 Owl Symbolism—What Does It Mean When You See an Owl? My parents had a black cat when I was born. He became my protector. My parents were told not to leave the cat alone with me but he never tried to harm me. In fact, he would do the opposite. Even when I was learning to crawl and walk, he never used his claws. He would swat me they said but never used his claws. I am in my early 40's now and have always had a black cat. I have cats in general but I have never been without a black cat. I still miss my first one though. I think black cats are beautiful. It makes me sad that some people consider them evil and cause them harm. I enjoyed reading the history of the black cat--and I love my cats. Great hub, and it makes one aware that we have come a long way from the caves of our ancestors. And I thank God for that---life without a computer would be boring. Thank-you for all of the information. I had wondered how black cats got associated with 'bad' things and you have explained that well. I personally don't get in to these superstitions, and am glad to know the origin of how these beliefs were started. nice hub Daniella Lopez but i feel sorry for the black cats....they are not at fault for their color.Allah made them like humans isn't it?what is black cat's fault if he's used for bad intentions..
i have 2 cats and i love them most. Congratulations on Hub of the Day! I love cats and have three black cats myself. I lived in Egypt at a very young age, and when my parents and I returned to the states, we brought back an Egyptian kitty. She was a family pet for many years. Love your photos of Boo Bear. Voted up and beautiful! Congratulations homesteadbound in having K.C. for 15 years. That is super. I am currently cuddling with my black cat, K.C. (Kitty Cat), who I adopted 15 years ago from the pound. She is a sweet heart and follows me from room to room. Congratulations on Hub of the Day! Congrats on the Hub of the Day. Interesting about black cats. I don't care what color they are, I love all cats. BTW: The word "morn" I think is incorrect. Might want to check that. Think you meant mourn. (2nd. paragragh). Goodnight. So interesting - thank you! I have a black cat, so I can't completely believe they're bad luck - she's fantastic! I hear things all the time about how black cats are not adopted as much as other cats, and it absolutely disgusts me. They're absolutely adorable just like all other cats! I have two black cats, and they're both gorgeous. They're also as sweet and loyal as they can be. I've even heard that black cats live longer than other cats. I don't think black cats are more evil than any other cats. I loved your hub Daniella! Hope you and baby are doing well! Congratulations on HOTD!! Very well done! Black kitties are indeed very special. 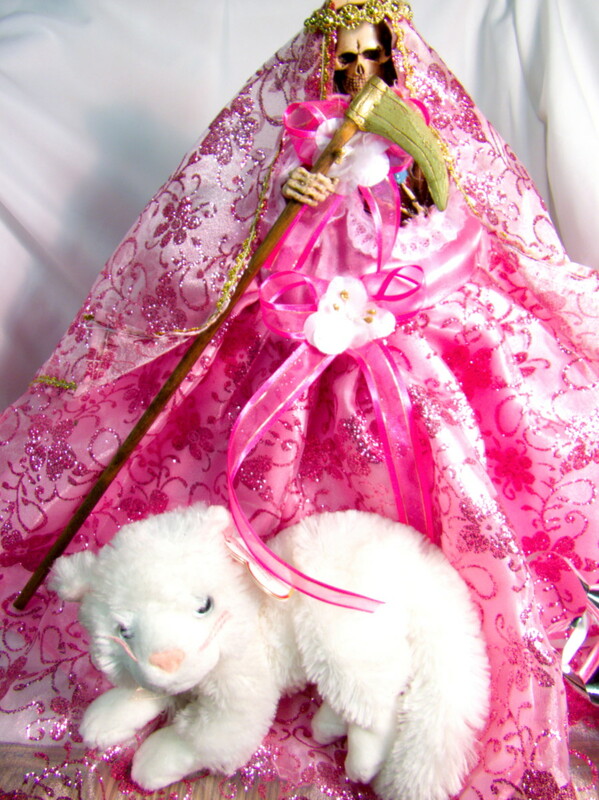 Thank you for sharing the photos of your beautiful "Boo Bear." We had a sweet black kitty for too short a time (she passed in 2008 of a mystery illness) at only 4.5 years of age; we still miss her terribly. Soot was the sweetest, most loving kitty of the bunch. Thank you so much for writing this important article with the truth about black cats. They are just as wonderful of a companion as any cat of any other color. And yes, please "adopt, don't shop." Voted up, interesting, awesome, beautiful, useful and shared. Congrats on HOTD! Great hub. 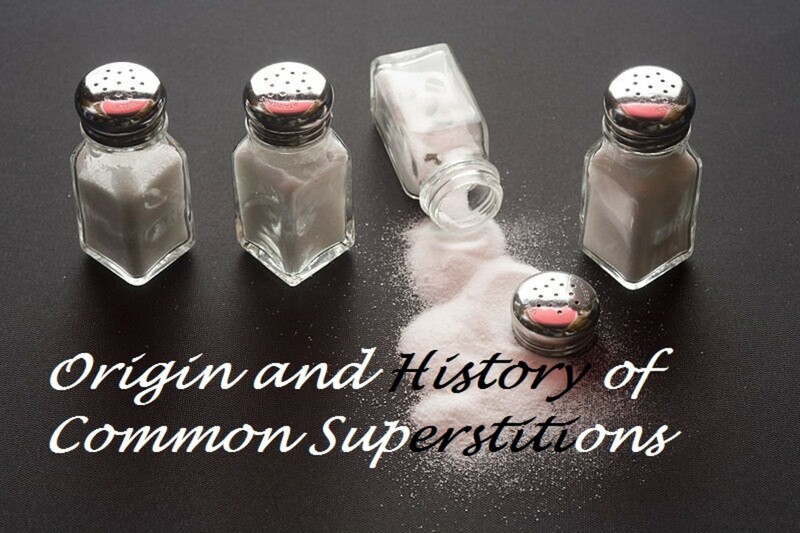 The history of superstitions is always interesting. Congratulations on Hub of the Day! I loved this hub when I first saw it and am so glad it received this recognition! I always wonder why cats love me? Even the "mean" ones? There must be something about me that attracts cats. I'm like a cat magnet. They are a beautiful creation. Thank you for this article. Very interesting hub about black cats. I have adopted a black cat name spooky. She is a very nice and smart cat. Congratulations on achieving Hub of the Day award. As an owner of a beautiful black cat, I admire him every day and have the photos to prove it! Though he is mischievous, he is also very loyal and loving pet. He is no different from other cats I have owned; they were of a mixture of colors. It just goes to show the human race has so many built in biases, even cats are not exempt... it isn't the cat...it is the scared human mind. I never realized how ridding the cats in the middle ages helped the rat population spread the plague. Poor problem-solving, I would say. Interesting Hub, Congratulations on your nomination! This is a great hub - thanks! We rescued a wild black cat who used to hang around our warehouse on the Fraser River. We thought she'd tear up the house but she settled right in and quickly ruled the roost! We still miss her. Congrats! Totally black cats are beautiful creatures and I can't remember the last time I saw one. Your hub was very interesting and after reading it, it makes total sense that the animal shelters are wary about finding new homes for black cats around Halloween. There are some sad people in this world !! An interesting hub and voted up. We have a very cute black cat, named Kitty. She is sweet and docile. I just make sure to keep her in on Halloween. Actually, we keep her in all the time. It is interesting to read about the development and history associated with the black cat. Love this! 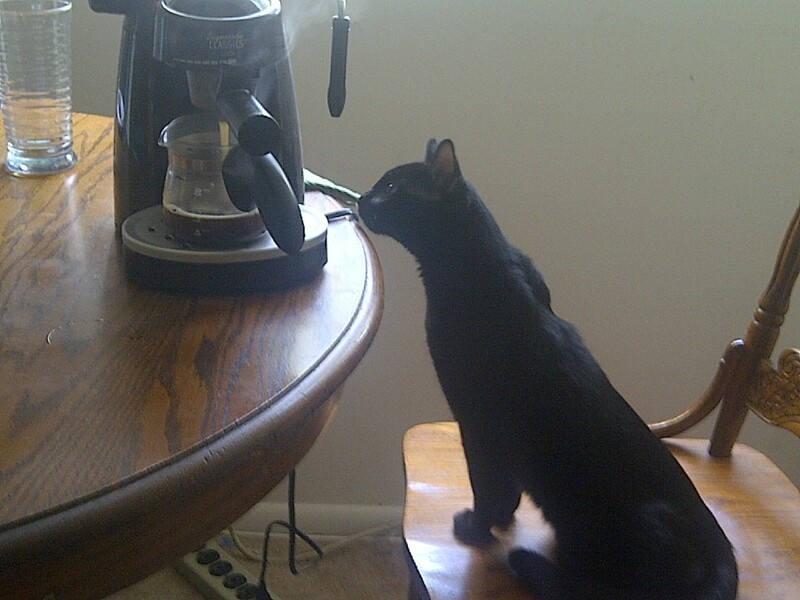 I actually wrote about my black cat, Pepe. He's just like your kitty - he loves hanging all over me when I'm on your computer, he gets into all the paper bags, he gets into the rags and all sorts of stuff. Great hub! Love this hub! Black cats are awesomely beautiful and very misunderstood. Congrats on HOTD! I love black cats. I used to have two, Blacky and Blackette--great names, huh? I miss them. They were 11 and 8, respectively, when they died. It's been 6 years since Blacky died, 10 for Blackette, and I still miss them so much. 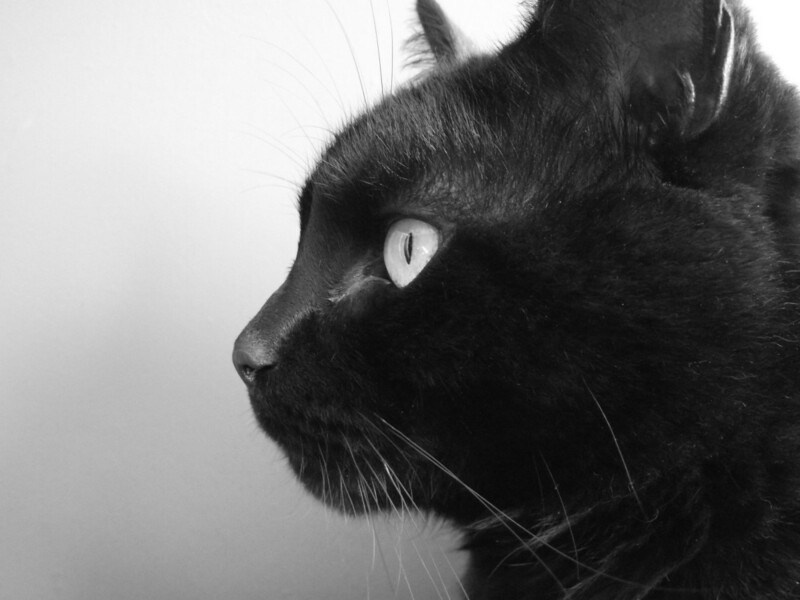 Thanks for writing a great tribute to often misunderstood black cats. Congrats on Hub of the Day! Great hub! Very interesting to read. I have a cat, he's a tuxedo, being mostly black with some white. I think it's ridiculous that some people think black cats are so evil or bad luck It's just a cat! Same as any other. Voted up! I'm a dog person but I like cats. I just lean towards doggies but the odd thing is ... I like black cats. A couple of my friends have black kitties and they are sweet, loving and very affectionate. My first dog was a miniature dachsund and her best friend was my friend's black cat who was twice her size. They would curl up together and sleep. I hate how people torment them still at Halloween. Makes me ill. Very interesting hub. Voted up! Awesome Hub! Our cat "Blackie" is the sweetest cat ever. Though sometimes skittish, I have heard that black cats have very loving dispositions once used to an owner, and that they are healthier than most cats in general. Thanks for sharing this interesting information. Quite the entertaining article and cute pics of your Boo Bear. Congrats on being hub of the day, which is how I stumbled upon this. See my cat there in my profile pic. Well, actually he is my teenage daughter's cat, although I feed him and clean the litter box. She hasn't done either even once since she brought him home almost a year ago. His name is Boo. I call him Boo Boo, Mr. McBoo, and Booby. Anyway, he used to be an all black cat. But I died some of his fur white. An Egyptian witch lives next door, and I was afraid she might kidnap him. I'm very rich in love however! I love Love love black cats. I have had my BLACK CAT MUFFIN FOR 14 years, I cannot imagine life without her. I even wrote a hub on her.. what a personality she has. I can't imagine why people think these beautiful animals are wicked. they are precious. I love your hub. I had a black cat part Siamese a few years back. He was a sweetie, but he didn't much like people generally. He would always come running when I got home from work and when I went on a vacation he actually sat in the window watching for me to come home -- that's what my mother-in-law told me who was taking care of him while I was away. He never sat in the windows before that like many cats do. He loved to snuggle and cuddle with me. He tolerated my husband and disappeared when guests were around. I love cats, but black cats are my favorite. Some people do get crazy ideas about things sometimes . . . I'm a cat lover but I've never bought into the black cat theory. Great hub! Congrats on the Hub of The Day! 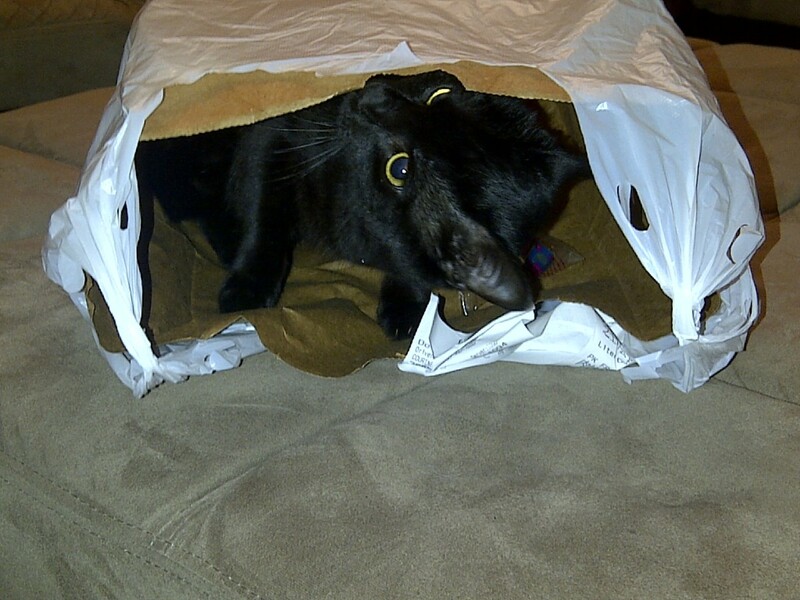 My Aunt had a cat who loved playing in bags. He went crazy with them and would end up sleeping in them after ages of being Super Spy Cat, or whatever he was thinking he was doing with the bags. It was a lot of fun to watch him. I loved this article. I have a black siamese cross cat called 'Buffy'. I absolutely adore her. She follows me everywhere and sleeps under the covers with me. She's a real little character. Suspicions based on religion and ignorance sicken me. Cats of any colour are innocent creatures unlike many people in the world! I think we all knew of how black cats are generally associated with bad luck. But many of the points that you've touched on, in this unique hub sound exotic. Seems like black cats have a mysterious aura around them! Congratulations for being voted The Hub of the Day, Daniella. Wow that is very interesting facts about black cats. That makes sense about the plague during the middle ages. I read that black cats and dogs as well are the hardest, and second is black and white. I love his eyes in the picture where he's in the bag. I know that face, that's the "trouble" face that my mom's black cat, Simon has when he's getting into something. Great hub! Thanks for the comment Jimmie. I agree, it is very odd how different cultures and their views are. Thanks for reading! 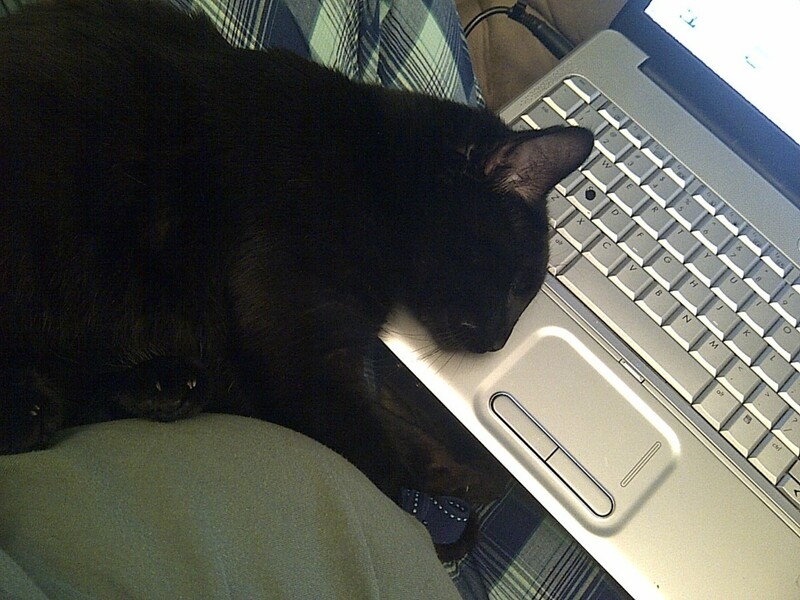 I have always loved cats and have never had a black one like your beautiful Boo Bear. Isn't it odd how one culture can idolize something that another culture demonizes? It just shows how arbitrary our superstitions are. Boo Bear is adorable. Thank you for sharing, voted up, marked useful and interesting. Great hub, Daniella! Voted up! @Lily: That's terrible about your cats! I'm so sorry! I am glad that you have found black cats to be such a blessing. Blessed be! @Claptona: Thank you for your comment and for reading! Blessed be! Hang a horseshoe upside down for good fortune. Black cats are evil, though they are just cats. This touches so close to home Daniella, both my friend Sheila and I have owned black cats, all of them extraordinary. Some people were,(are) convinced we were, (are) witches... I don't THINK that's true....? I do know a kid on my folks homestead killed two of my black strays that became pets, and HE MUST have been Satanic to kill innocent animals. Not too many years later, he was ran over on Knik road just miles from where my folks farm was. What a horrible waste of life all the way around. I think of black cats as being good luck and not bad. A great hub Daniella. Thank you for posting. I presently own two black cats, Cocoa and Dakota. Cocoa is my little baby (a baby weighing in at 17 pounds) who curls up with me and purrs and looks at me like he is in love. I had two black previous to these, they were approximately 19 when I had to put them down for Kidney disease and cancer. This hub was beautiful. I love the pictures of the cat. @Rebecca: I would be frantic too! Glad she came back! @Stephanie: That is so cute! I've seen so many very beautiful black cats! You hub on superstitions surrounding black cats was interesting, but it's sad that they have negative associations here in the U.S. They are very beautiful and just as sweet and loving as any other feline can be. @Vinaya: Thanks for reading. :) That's very interesting that your culture perceives black cats in a similar fashion as Americans do. From what I've read, it seems that Japaneses and British cultures are really the only ones that still think highly of the black cat. Thanks for stopping by! @Jaywig: Cute name! My cat Boo Bear had a broken tail as a kitten, so it's still a little bent today. Thanks for reading! Cool hub! My first pet was a black cat named "Spookie". She had a broken tail which made her very unique. RIP! Thanks for sharing this interesting hub. 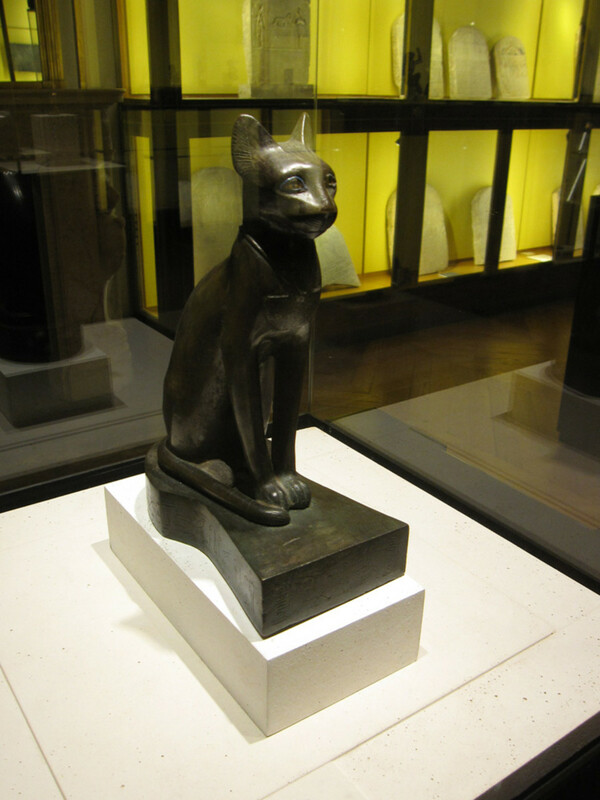 I did know that ancient Egypt revered cats, especially the black ones. The crime of killing a cat equaled to murdering a person. However, I was reading many information for the first time. Even in my culture, black cats are considered to be a form of witch.